9 Mar, 2017 FFA HQ Honiara SOLOMON ISLANDS – Pacific Ministers of Fisheries are in Honiara this week discussing opportunities and challenges for strategic fisheries cooperation. 08 Mar 2017, FFA HQ SOLOMON ISLANDS – The 8th of March marks International Women’s Day. This year the United Nation’s has chosen the theme “Women’s Economic Empowerment in the Changing World of Work.” This draw’s attention to residual issues such as the gender pay gap, unpaid care work, the challenges for women in the informal economy and the opportunities created by new technologies. 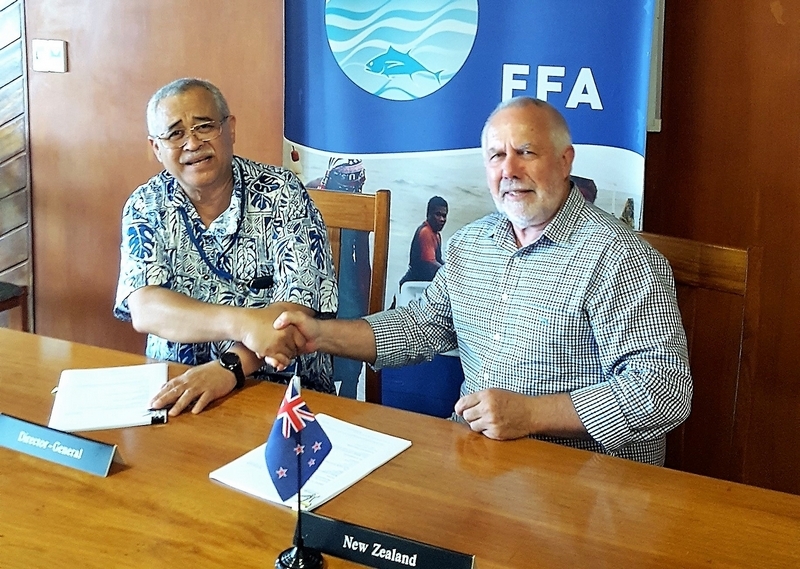 Joint FFA-OFCF Release-- Wed 1 March 2017, FFA HQ, SOLOMON ISLANDS— In a move that will help strengthen Pacific tuna fisheries, cooperation between the Overseas Fishery Cooperation Foundation of Japan (OFCF) and the Forum Fisheries Agency (FFA) was reaffirmed during negotiations in Honiara over the past three days. WCPFC13, DENARAU, FIJI ISLANDS 9th Dec 2016—Pacific nations have put the global fishing nations on notice that the safety of Observers is not to be trifled with. WCPFC13, DENARAU, FIJI ISLANDS 8th Dec 2016—Pacific nations are initiating a watch list of vessel masters linked to the WCPFC IUU vessel blacklist. The move to strengthen tracking of Illegal, Unregulated and Unreported fishing vessels with another layer of information listing vessel masters, is hoping to gain traction amongst Tuna Commission members.